New car registrations rose by 8.2 per cent in April, marking the 26th consecutive month of growth. 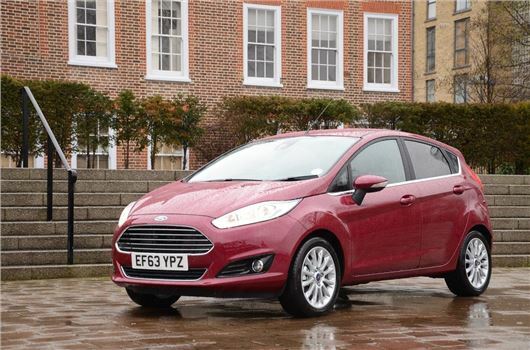 The data from the SMMT shows the Ford Fiesta continues to be the UK’s most popular car, with 10,250 registrations in April – 51 per cent more than any other model. The Ford Focus was the second most popular model (6772 registrations) while the Volkswagen Golf took third place with 5302 sales. A total of 176,820 vehicles were registered in April and the SMMT has revised its 2014 market forecast from 2.3 million to more than 2.4 million registrations. According to market commentators, the growth in registrations is fuelled by an every improving economy, with consumer confidence at a five year high. "After the bumper plate-change month of March, the UK car market returned to more modest but still positive growth in April, with new car registrations up 8.2% to 176,820 units," said Mike Hawes, SMMT Chief Executive. "This marks 26 consecutive months of growth as GDP continues to pick up, inflation falls and wage levels improve. "As UK economic confidence improves still further and the market continues its upward trend, we have revised our 2014 forecast up from 2.3 million to over 2.4 million registrations. This represents an increase of more than 6% versus last year."